Directed by Thomas Lallier, “Paris Tower 13” is an engrossing look at artistic expression and passion in the face of impending destruction. In the words of Vincent van Gogh, “Great things are done by a series of small things brought together.” While the works of art featured in the film are by no means small, think entire flats of street art inside a ten-story former residential building, it is the collective effort of the 100 artists behind the Paris 13 project that made it the biggest street art exhibition ever conceived and one of Paris’s most intriguing cultural experiences of 2013. The concept behind the project came from gallery owner Mehdi Ben Cheikh (Galerie Itinerrance), who invited some of the most well-known urban artists from around the world to Paris to take part in the exhibit and have their work on display to the public for one month before the building and their art would be demolished for a new housing project to be built in its place. Beautifully captured by Lallier, “Paris Tower 13” is a film for anyone who ever wanted to know what makes an artist tick. Who, after all, would spend hours creating just to later see their work destroyed? The majority of Lallier’s film is devoted to the introspection of a handful of the artists featured in the exhibition, their creative process, and why they wanted to take part in such a unique short-lived project. Throughout the film, Lallier proves to be a gifted cinematographer and a storyteller with a keen eye, whose approach not only does the artists and exhibition justice, but creates a lasting impression that will leave viewers with a greater appreciation not only for the artists in the film, but for the works of art they encounter in their own lives, often full of meaning and worth a closer look. 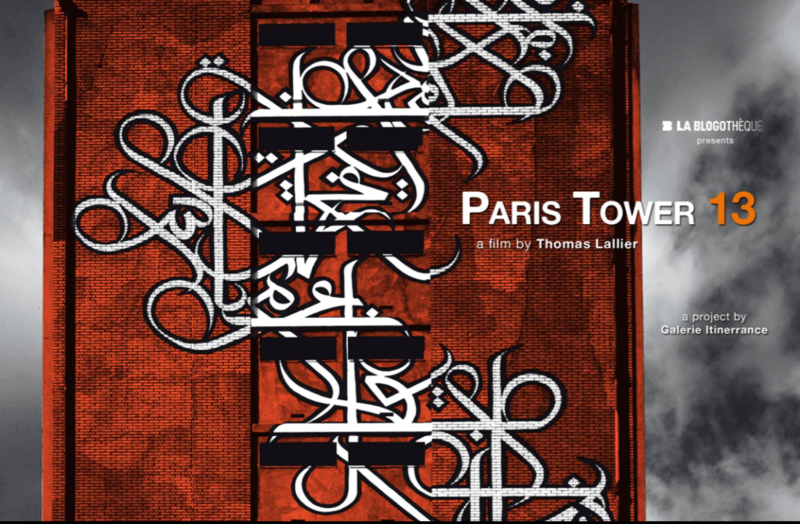 To learn more about “Paris Tower 13” and the artists featured in the film, visit: paristower13.com. “Paris Tower 13” screens at the Arohanui Film Festival in Te Aroha, NZ October 29th at 1:00 PM. Tickets are available through Eventbrite.